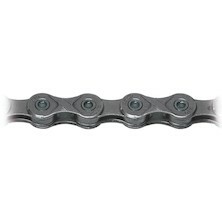 Drivetrain refers to the whole system responsible for creating the motion that powers your bike forward. 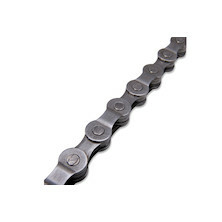 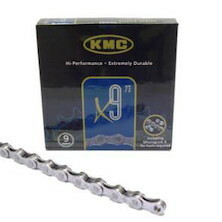 It's essentially a synergy of two rotating gear sets, coupled together with a chain or belt drive. 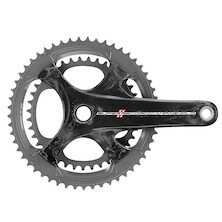 Converting every ounce of your pedalling motion into kinetic energy is a precise business, and modern drivetrain components are some of the most technologically advanced anywhere on the bike. 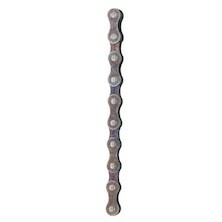 These days choosing a drivetrain setup goes much further than simply the best quality crank set, cassette and chain combination. 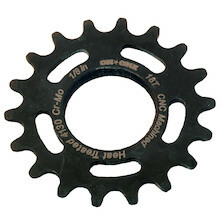 With a huge variety of gearing options- 3x9, 2x10, 1x11 and internal hub gears being just a few; matching your gear type, ratios and build quality plays a crucial role in equipping your bike for the trail ahead. 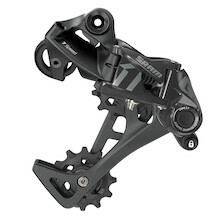 Check out the world's best deals on drivetrain components from leading names like Shimano, SRAM, FSA and KMC here! 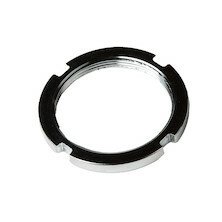 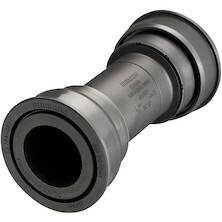 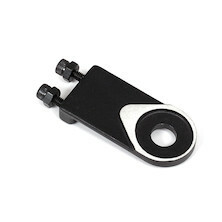 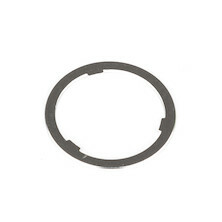 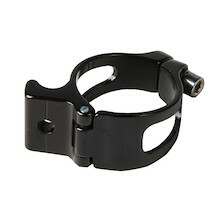 This SM-BB72-41B PressFit bottom bracket is made to press right into your frame. 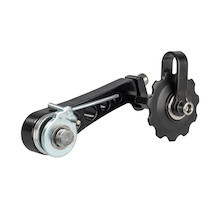 It will mate your Shimano HollowTech crankset to any frame equipped with a BB86 bottom bracket shell. 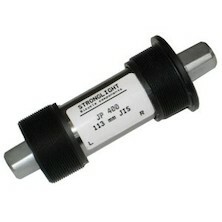 A classic, square taper JIS bottom bracket in 68mm shell width. 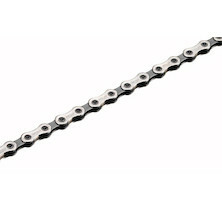 The perfect BB for many track bikes and most retro / fixie steel framed bikes. 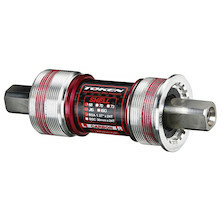 A classic bottom bracket with a modern, carbon fibre addition from Token - perfect for cyclists who look for nothing but faultless performance! 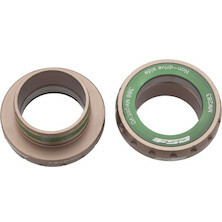 Premium-quality sealed bearings mounted to this bottom bracket ensure that it will last you for ages of riding hard! 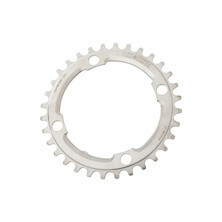 Replacement BB386 EVo bottom brackets, available in a variety of different fittings, PF30, BSA threaded, steel or ceramic bearings. 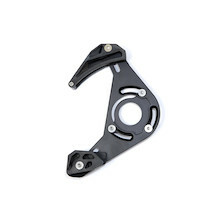 All currently available options are listed below. 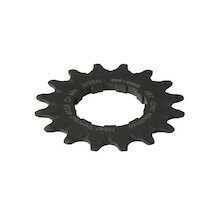 This Chainset has been used previously but is in great condition. 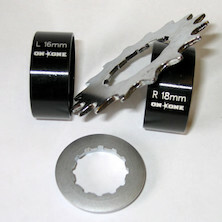 Minor Cosmetic damage shown in the photo's. 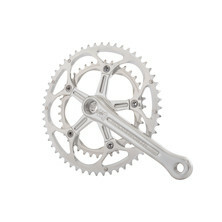 For everyone who's restoring a vintage Holdsworth bike, or building up one of our brand new frames we have created a limited edition run of Holdsworth chainsets to add the perfect finishing touch to your project. 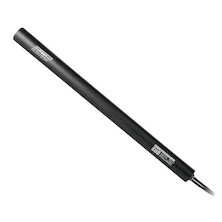 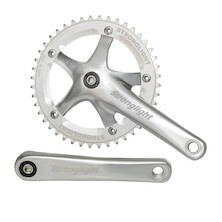 The Track 2000 fropm Stronlight has been a staple of the track racing circuit worldwide for years. 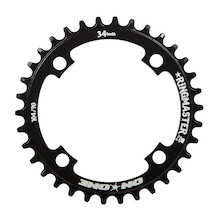 It's strong and light and available in a variety of chainring sizes.